It started back several decades ago with Jack Nicklaus, when he placed the emphasis on winning Major championships over other tournaments. Whether that’s right or wrong is beside the point, because that is just the way it is now. 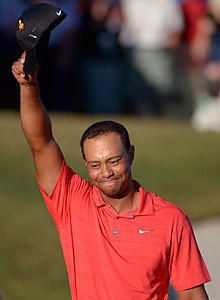 That especially became true when Tiger woods came on to the season, and focused entirely on winning Majors. 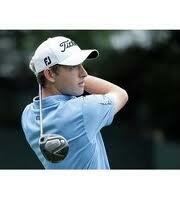 Now, even the Majors have bought into it, knowing that golfers dedicate their entire year to peaking four times. This entry was posted in Opinion and tagged 2013 british open, 2013 pga championship, 2013 u.s open, the masters on March 28, 2013 by Bryan. At one point over the last 29 months, Tiger Woods fell all the way down outside of the top-50 in the World Golf Rankings. But on Monday, after his eighth win at the Arnold Palmer Invitational, Woods regained the top spot for the first time in more than two years. This entry was posted in News and tagged arnold palmer invitational, tiger woods, world golf rankings on March 26, 2013 by Bryan. Most of the time on this blog we talk about the last event and happenings on the PGA Tour, but it’s time to give the ladies some love. In particular, one lady who is having an incredible start to the 2013 LPGA Season, becoming the new No.1 ranked player in the world. American Stacy Lewis was the 2012 Rolex Player of the Year on the LPGA, and came into 2013 with some momentum. After a win in Singapore a couple of week ago, Lewis followed that up with a win in Arizona for the second-straight event. 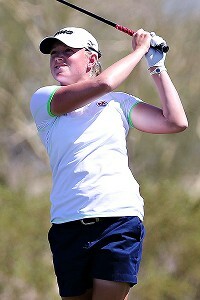 This entry was posted in Opinion and tagged lpga, rolex rankings, stacy lewis on March 20, 2013 by Bryan. Will Tiger Get Victory No.8 At Bay Hill This Week? Tiger Woods has certainly dominated his fair share of venues in his career, and none more so than when he goes to Bay Hill. The PGA Tour rolls through Orlando this week for the Arnold Palmer Invitational, where woods is a seven-time winner and the defending champion. Though unlike last year when he came in searching for his first victory in more than two years, Woods has won four times since that victory last year. This entry was posted in Opinion and tagged 2013 masters, arnold palmer invitational, bay hill, tiger woods on March 18, 2013 by Bryan. It’s the most recognizable venue in all of golf, and perhaps one of the most recognizable in the world of sports. Every year, the greatest in golf come to compete in the first Major championship of the year in Augusta, Georgia. 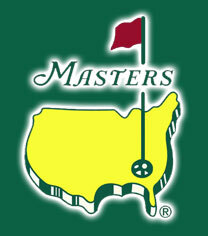 The 2013 Masters is right around the corner, as the first Major championship of the 2013 season. Play will begin on Thursday, April 11 and run through Sunday, April 14. This entry was posted in Opinion and tagged 2013 masters, rory mcilroy, tampa bay championship, tiger woods, world golf rankings on March 15, 2013 by Bryan. Picture yourself on a nice relaxing morning or afternoon going around the golf course. After all, even a bad day on the golf course is better than a good day at work right? We might have to ask Mark Mihal that question though after his incident with a sinkhole in the middle of Annbriar Golf Club in southern Illinois. 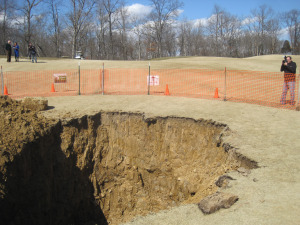 This entry was posted in News and tagged annbriar golf club, golf sinkhole, mark mihal on March 13, 2013 by Bryan. One of the hotly debated issues in the world of golf going on right now centers around the anchored putter, and the United States Golf Association attempting to define the stroke on the putting green. The anchored putters, or ‘long putters’ are nothing new to the game of golf. In fact, players have been using them for more than a quarter century. This entry was posted in News, Opinion and tagged anchored putters, british open, ernie els, keegan bradley, pga championship, pga tour, u.s open, usga, webb simpson on March 8, 2013 by Bryan. Sure, the majority of focus in the world of golf will be set at TPC Blue Monster for the playing of the WGC Cadillac Championship, and rightfully so. After all, we have the top-ranked players in the world going toe-to-toe over four days in this special event with no cut. This entry was posted in Opinion and tagged luke guthrie, patrick cantlay, puerto rico open, wgc cadillac championship on March 6, 2013 by Bryan. 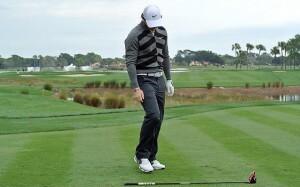 What’s Next For Rory McIlroy After Withdrawal From Honda Classic? No.1 ranked golfer in the world Rory McIlroy will come into this week for the WGC Cadillac Championship from TPC Blue Monster having to answer some tough questions. This entry was posted in Opinion and tagged 2013 masters, honda classic, rory mcilroy, tpc blue monster, wgc cadillac championship on March 4, 2013 by Bryan.